Trish Keenan (28 September 1968, Birmingham, UK - 14 January 2011, Warwick, UK) was best known as the singer and songwriter for Broadcast. Born in Winson Green, Keenan attended Archbishop Grimshaw Roman Catholic school. After school she worked in various catering jobs and at the age of 21 moved to the bohemian enclave of Moseley, forming a folk duo called Hayward Winters before she met James Cargill at a 1960s psychedelic revival club in Birmingham. The pair bonded over shared interests and formed a band, Pan Am Flight Bag, who played two gigs before they regrouped as Broadcast. On her return from the band's first Australian tour in December 2010, Keenan was diagnosed with pneumonia and went into hospital. 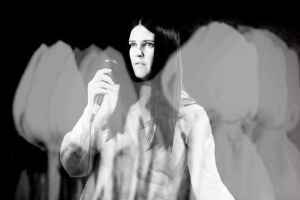 RIP Trish Keenan. You will be dearly missed.